DW was established in 2009, when Dave Whelan bought 52 fitness clubs and attached retail stores from JJB Sports Plc, a company he had built up before selling in 2007. DW is a leading leisure and retail business which currently operates 90 retail stores around the UK stocking a wide range of authentic sports performance brands, as well as 76 leisure clubs providing extensive facilities for members including large gym floor and functional training areas, member cafes, swimming facilities and a wide range of group exercise classes. In September 2016 DW Sports acquired Fitness First UK, increasing its portfolio further to include an additional 45 Fitness First clubs. ‘DW Fitness First’ is now the second largest operator of gyms in the UK providing expert training and top class facilities around the country. The combined business consisting of 90 retail stores and over 120 gyms is uniquely placed to provide the serious athlete to those just looking to move a bit more, the products, the environment and the encouragement people need to be all kinds of active. Nike has come a long way since it was founded in 1972 on a handshake between an athlete (Phil Knight) and a track coach (Bill Bowerman). In the early years we learned some tough lessons about operating a complex global supply chain. Since then they have been on a journey to understand the important role we can play in helping create an environment of collaboration and transparency. We are now harnessing the power of innovation to manage risks, create opportunities and meet our sustainability and social goals. Nike believe diversity and inclusion drives innovation. And if done effectively, managing diversity and working together can lead to a competitive advantage. 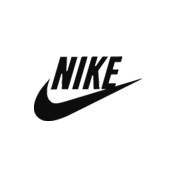 Nike requires a broad base of suppliers that actively and significantly support our business requirements, and positively reflect the world in which we live and work. Nike’s Global Procurement team manages the procurement process, including selecting and contracting with the right suppliers for the right goods and services. Through our strategic sourcing initiatives, we have also begun to reduce Nike’s footprint and lessen our impact. We’re committed to increasing the purchase of sustainable products. Read more about Nike’s commitment to sustainability. Sustainable innovation is at the core of NIKE, Inc., innovating across design and materials to manufacturing and retail, while driving cross-industry collaborations that bring game-changing solutions to scale. Since 2010, NIKE, Inc. has transformed the equivalent of more than two billion plastic bottles into high-performance gear. That’s enough to cover 3,500 soccer pitches. Since the 1990s, Nike has collected more than 28 million pairs of used athletic shoes, recycling them into new superior performance gear and incorporating them into thousands of sports surfaces. In fiscal year 2013, Nike contributed more than $52 million in cash, products and in-kind donations. From expanding access to sport and physical activity to young kids, to empowering adolescent girls in developing countries and beyond, we invest our money, time and expertise in strategic plans to improve the communities where we live, work and play. Adidas offers a one-stop-shopping experience, for all your sporting needs, kitting you out from head to toe. Our athletes and teams benefit from the latest products with groundbreaking technologies to continually improve their game. Get at the forefront of technology! With Adidas clothing, cricket fashion and Adidas sports shoes, you will always be up to date. However, you will also be well served if you are looking for suitable equipment for your chosen performance sport. From beginners to professionals, any sport enthusiast can find the right equipment to cover their needs. No matter if rugby, swimwear or cyclist, adidas specialty sports online shop will save you time, which you in turn can invest in your training. Our athletes and teams can take advantage of our newest products with cutting-edge technology, which allows them to constantly improve their performance to always be ahead of the competition. Experience the advancement in technology and allow yourself to be equipped from head to toe like a professional. Have a look at our adidas specialty sports products in our sports online shop now!